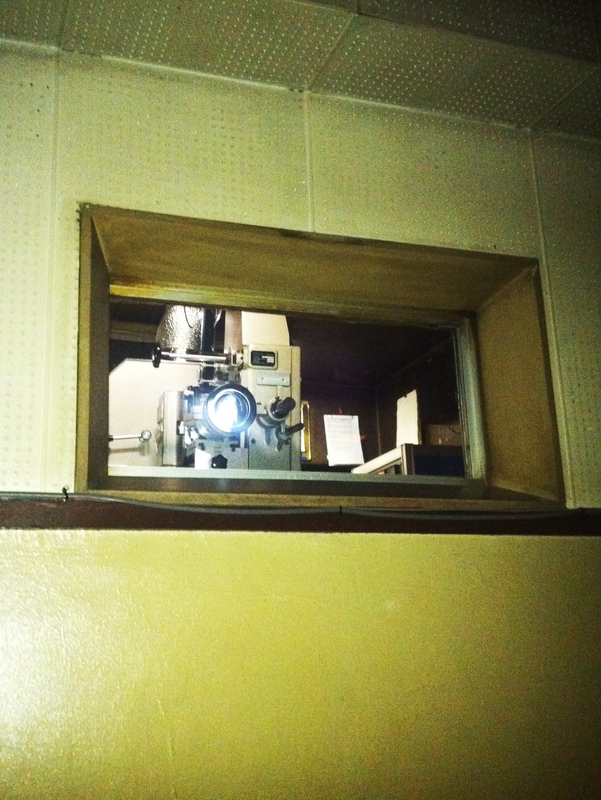 It is worth it for the atmosphere and intimacy of such a tiny, old cinema. The chairs are so springy and loud. If you look up, you can see the dust falling through the projector light. 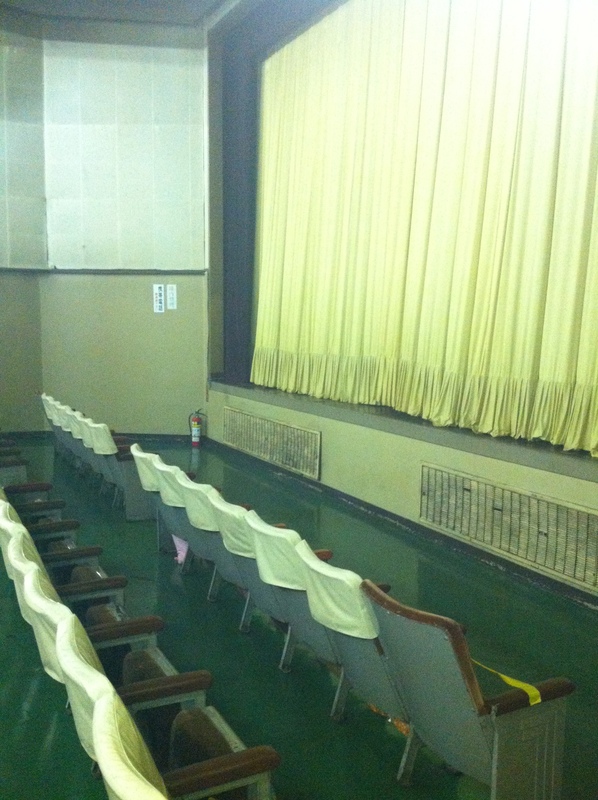 Films have been shown here since the early Showa era, around the end of WWII. I heard rumours that the first films to be shown here were pornographic. Now though, mainstream or independent films draw in five to ten viewers a showing. In a city where buildings are constantly being knocked down and rebuilt, it is rare to see a building this old. The local community are proud of it. I hope there are a few more years left for us small few to hide away from the bright Tokyo lights. 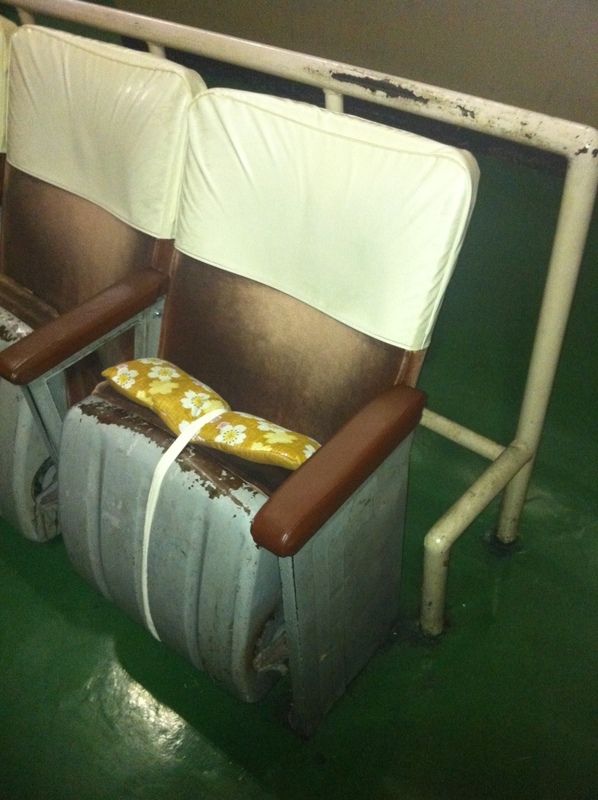 This entry was posted on Wednesday, April 25th, 2012 at 9:44 am	and tagged with antique, chair, chuo, cinema, curtain, eigakan, film, furugistar, independant, japan, japanese, light, listings, movie, pictures, projector, sangenjaya, screen, tokyo, vintage, yellow and posted in Uncategorized. You can follow any responses to this entry through the RSS 2.0 feed. I love these old cinemas too and I’m happy for my original photos of this place.